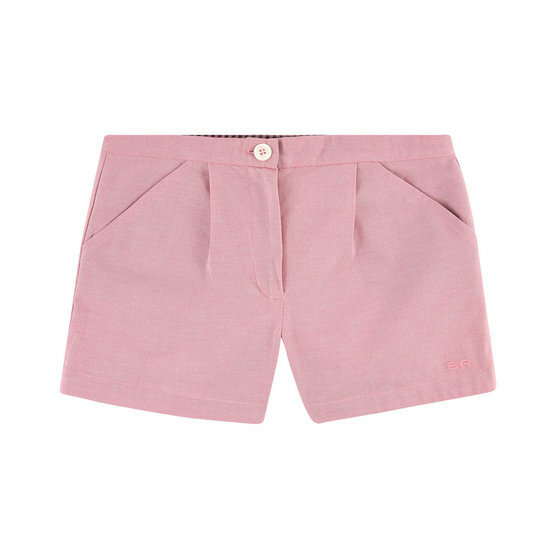 Pink cute shorts by Sonia Rykiel Enfant. Pleats at the front and back. Trimmed on the inside with a contrast black check ribbon. Adjustable waistband with elastic strap. Button on the waist and zip fly. "SR" embroidered monogram.